Cantilever racking is designed to store long items such as metal beams, pipes, moulding, wooden boards, sheets of metal or plastic, etc. Single or double-sided cantilever storage solution for long but lightweight items. Easy to assemble, simple, stable and safe. 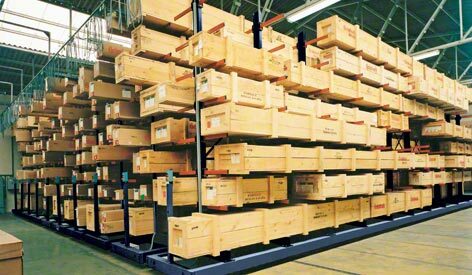 High-strength storage system for long and heavy loads. Easy to assemble, simple and reliable. 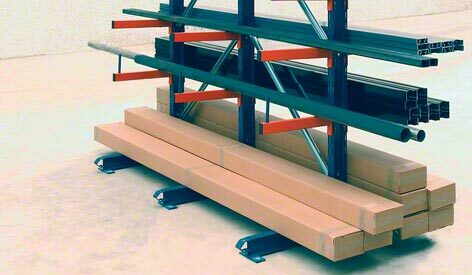 Make the most of available space by placing cantilever racking on mobile bases.